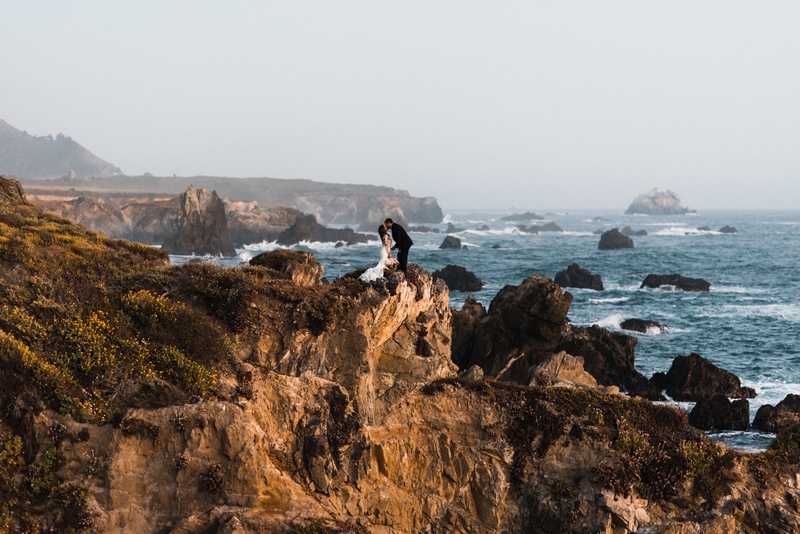 Your complete guide for the best places to elope in California and how to do it. 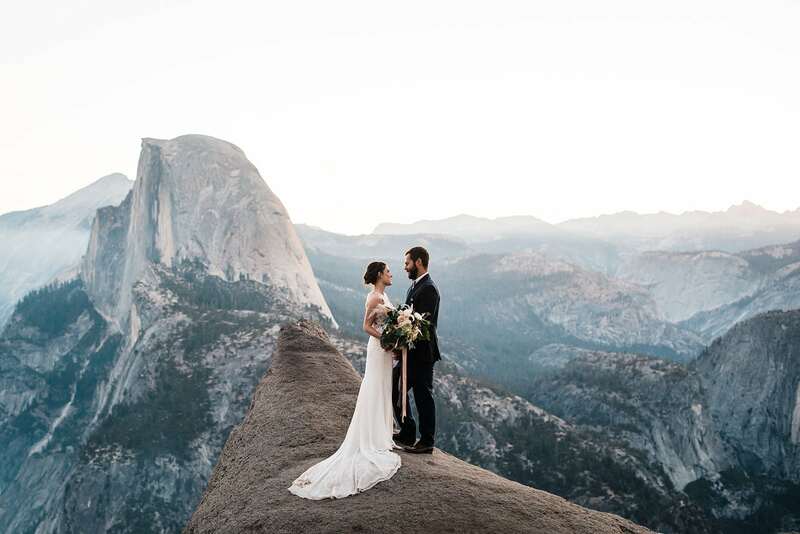 California is one of the very few states that has every landscape you could imagine for your adventure elopement. 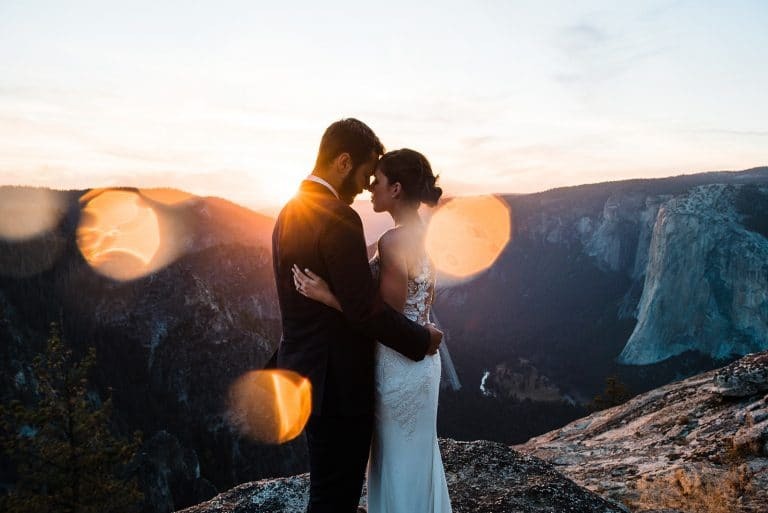 California is stacked with breathtaking beauty, making your decision on where to elope even harder. 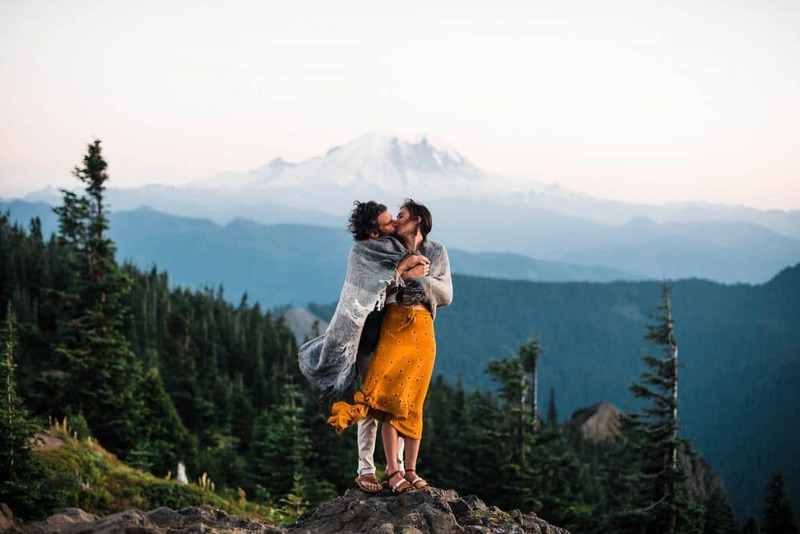 With a whopping 8 national parks and over 100 state parks, there is no shortage of outdoor beauty for eloping. If you want rugged rocky beaches, head north! If you want sunny surf beaches, head south! 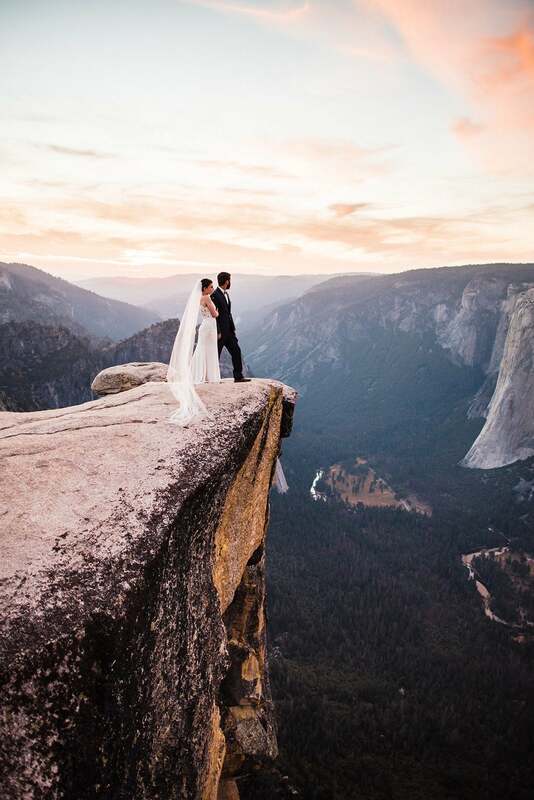 Or there are the epic cliffs in Yosemite and snow capped mountain peaks of the Sierras. You can find desert towers in Pinnacles National Park, or a desert bursting with life in Joshua Tree National Park. 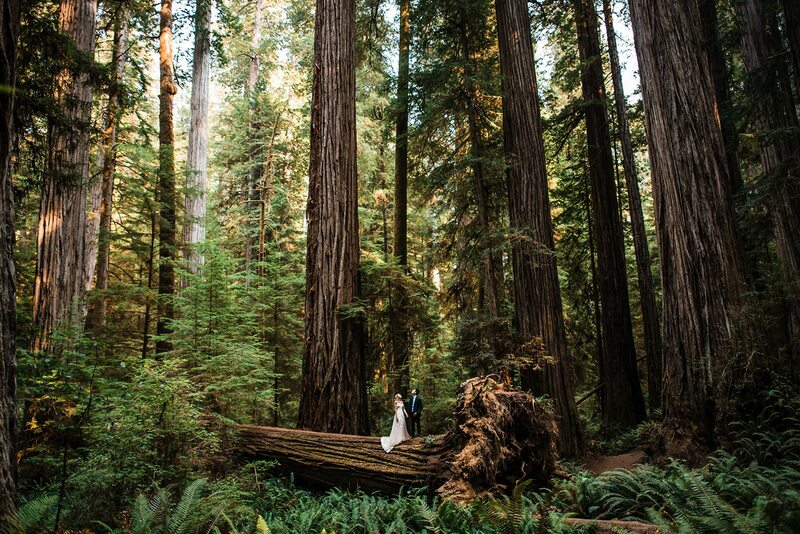 And of course, old growth forests and massive redwoods trees can be found in almost every part of the state. 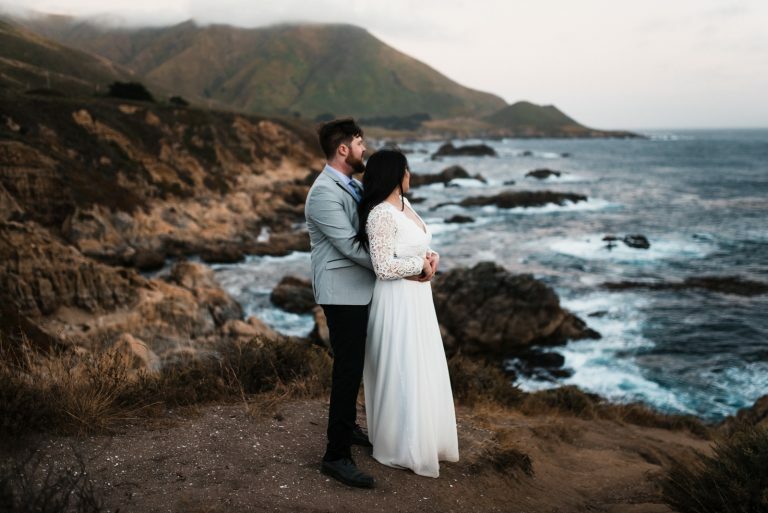 Hopefully this article will help make your decision easier on finding some of the best places to elope in California. 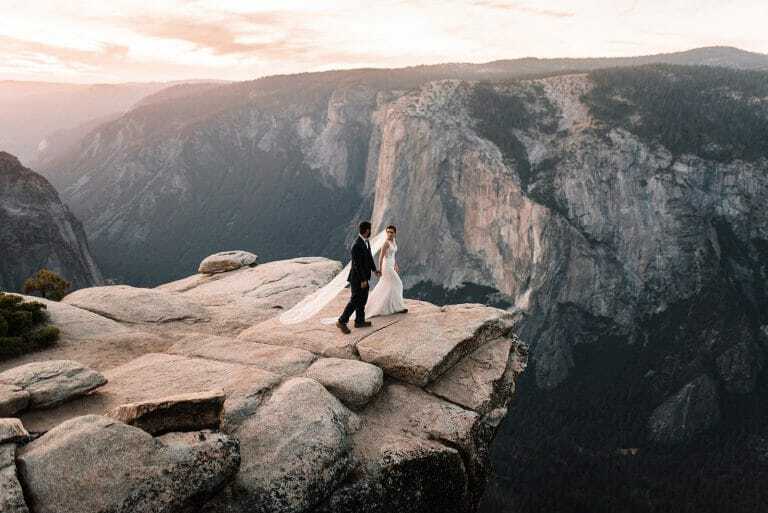 We are adventure elopement photographers who have extensively explored the amazing landscapes of California. We’ll help you find the best places to elope in California and break down the logistics of how to do it. BEST TIME TO VISIT: California is such a large state that the weather varies from place to place. That being said, California is know for its great weather and most places are good to visit year round. If you can avoid peak tourist season (June, July and August), you’ll have a better time avoiding crowds. But if you you’re visiting during peak season, there are plenty of hidden gems off the beaten path were you can avoid the heavy crowds. CLIMATE: Northern California has a completely different climate than Southern California, as does the western part of the state verses the eastern side. Northern California (north of San Francisco) has mild weather year round with average temperatures ranging from 50-70 degrees Fahrenheit and tends to be more cloudy and rainy in the winter. 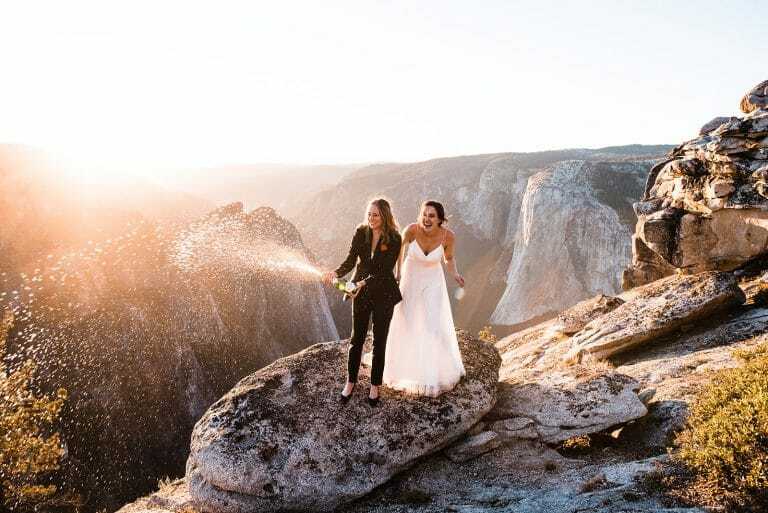 Southern and central California are generally warm and dry year round, but when you head inland from the coast towards wine country, temperatures can get hot fast. On the eastern side of the Sierra Nevada mountains, the landscape turns into a desert and is much hotter and drier. 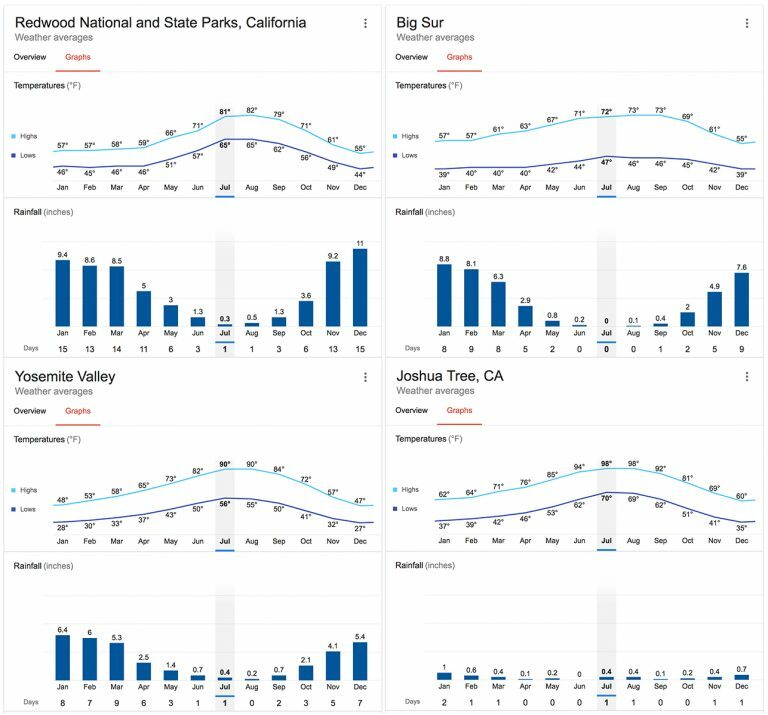 Yosemite, Lake Tahoe, and the Sierra Nevada mountain range are hot and arid in the summer and see a lot of snowfall December through April. MARRIAGE LICENSE: Marriage licenses are valid for 90 days after issuance. You must apply in person at the county clerk’s office. You will receive your license when you apply, there is no waiting period. 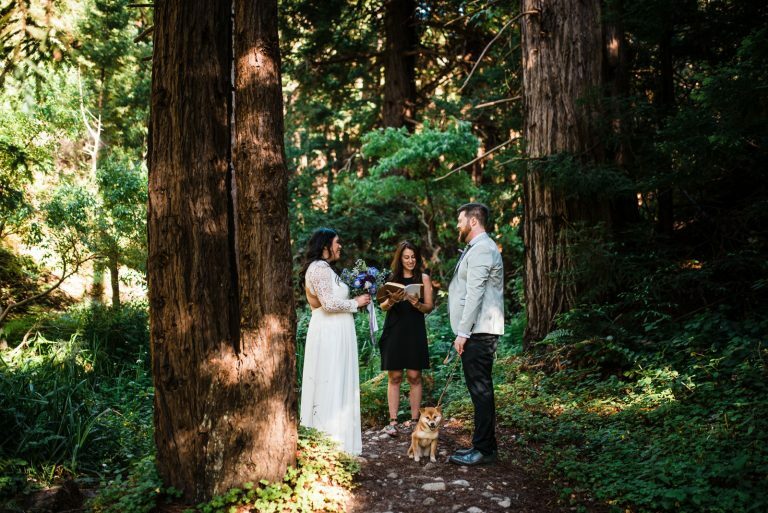 You’re required to have an officiant and two witnesses. Application fees vary by county. For more details, visit the county website wherever you plan to elope. 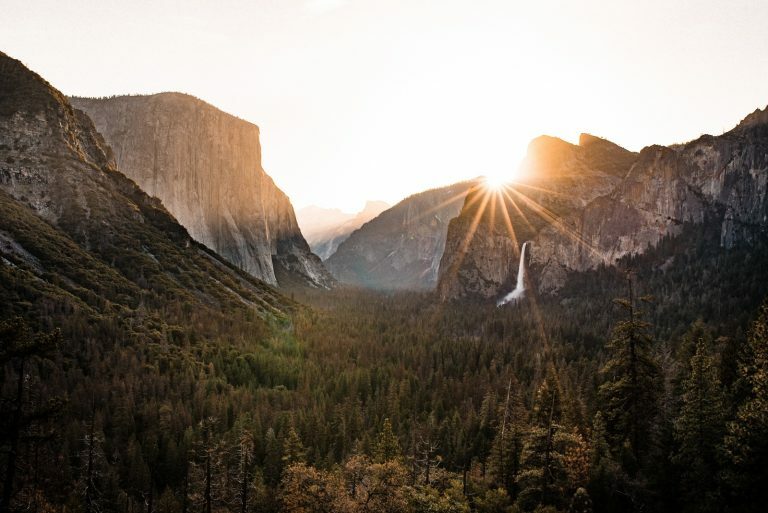 KNOW BEFORE YOU GO: If you’re camping in national parks, California campsites book up very fast! Set an alarm to book your site 5 months in advance (this is when booking opens) because if you don’t, it WILL get booked up. Okay, this one’s a gimme. 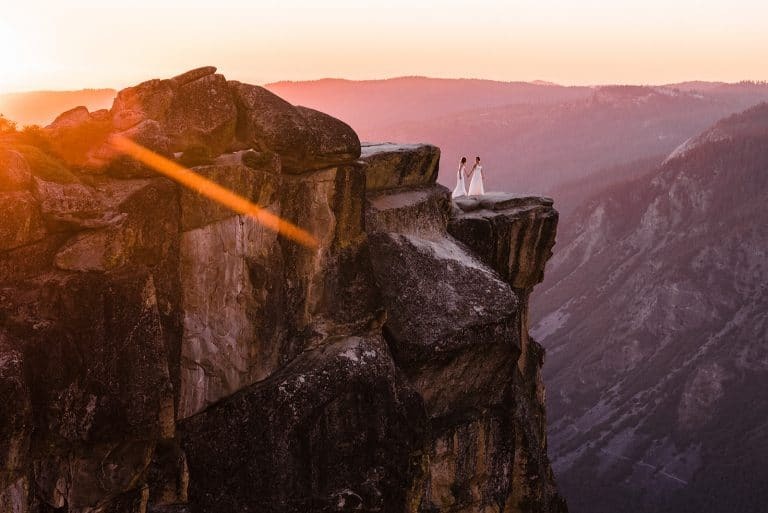 A Yosemite elopement is always going to be epic no matter what. 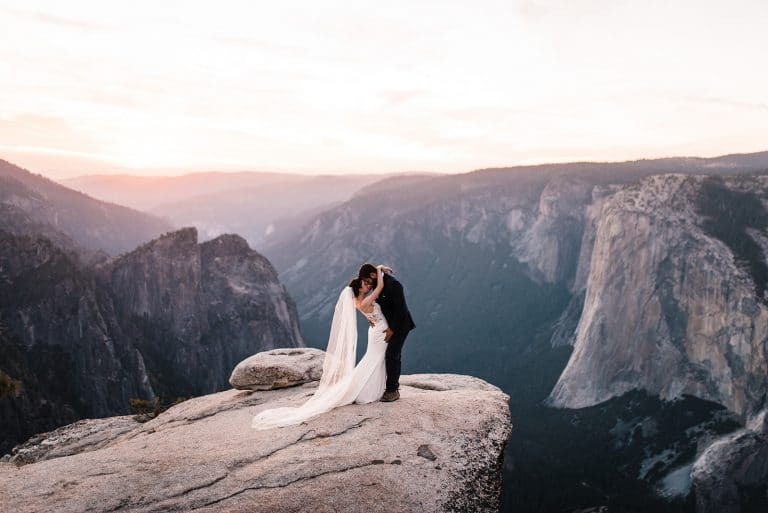 From Yosemite Valley up to Taft Point and everywhere in between, Yosemite has so many incredible views and trails that will take your breath away. It’s one of those places that really makes you realize how big and beautiful this world is. 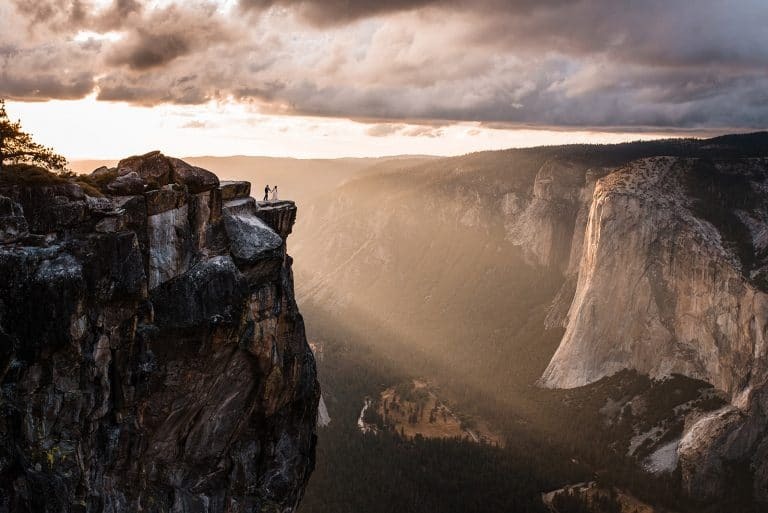 Important Info: Tioga Road is the road that takes you up to Glacier and Taft Point and is closed from November through mid May. The special use permit required for elopements in Yosemite is $300 and must be applied for within 21 days of your elopement. 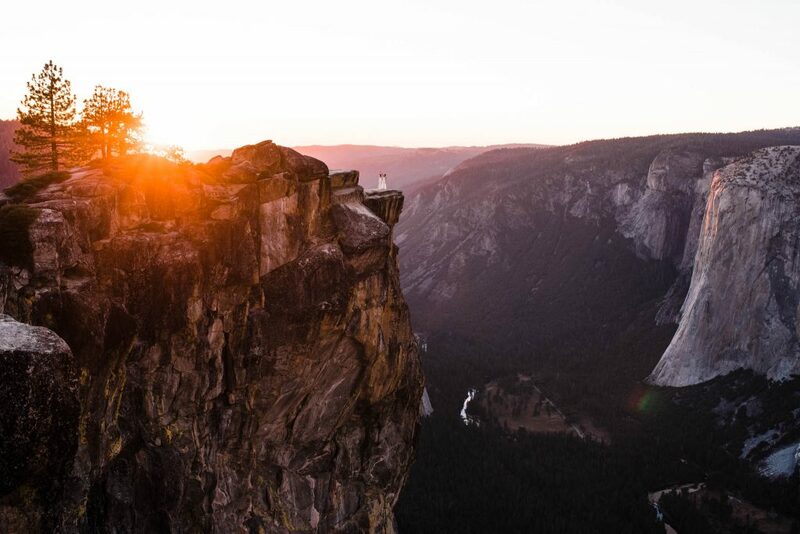 Best place to look for lodging: You can camp in Yosemite, but campgrounds book up fast. If you’re planning to camp, make sure you reserve your site when booking opens up (5 months prior). 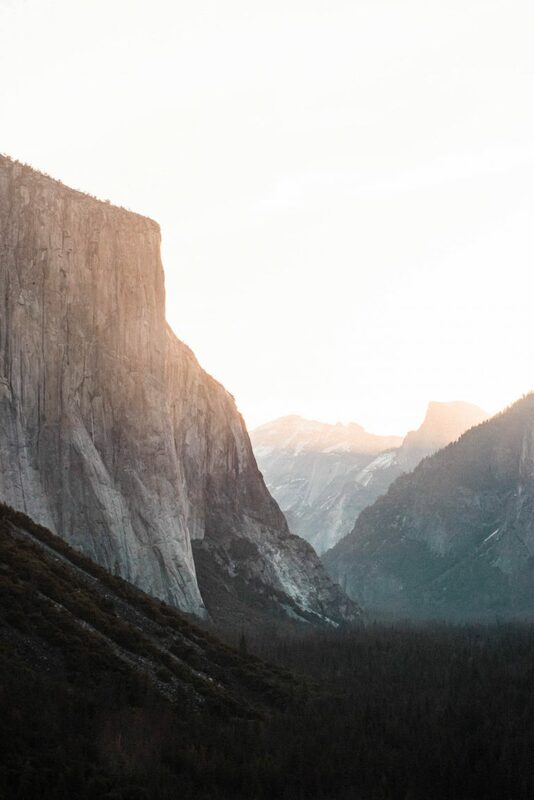 If you want a hotel experience, you can stay in the valley at The Majestic Yosemite Hotel. Otherwise you’ll have to drive outside of the park to one of the nearby towns for lodging. 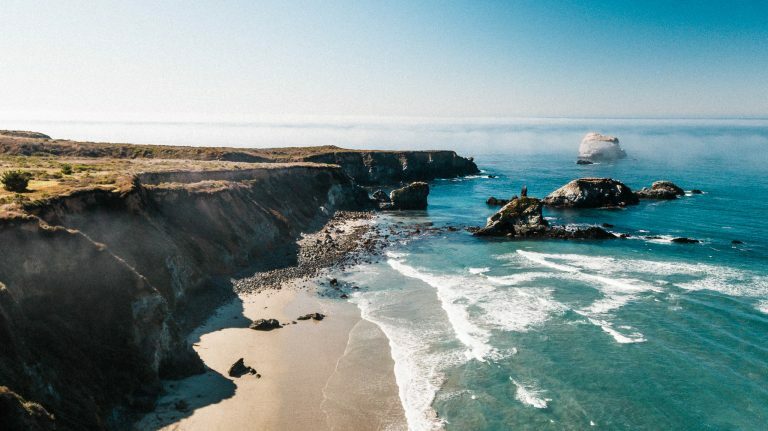 Big Sur is one of California’s most epic regions. 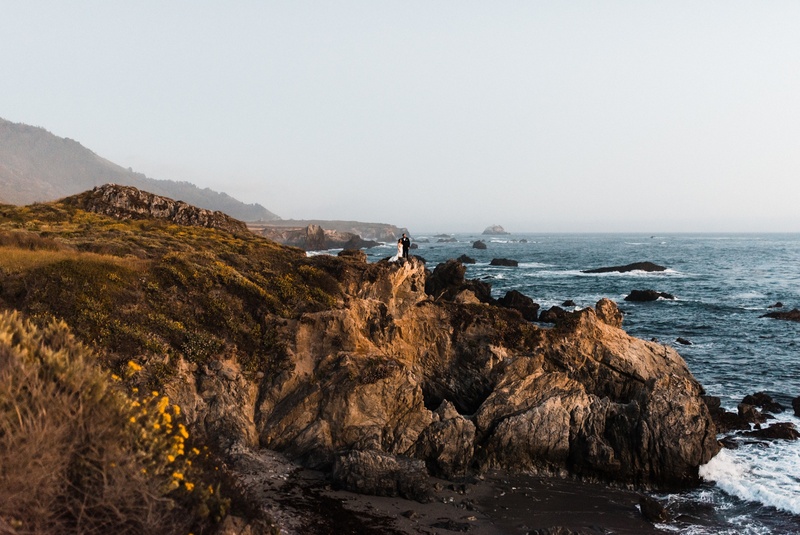 The rugged coastline is know for its aqua water, big cliffs, sandy beaches, and even Redwoods. 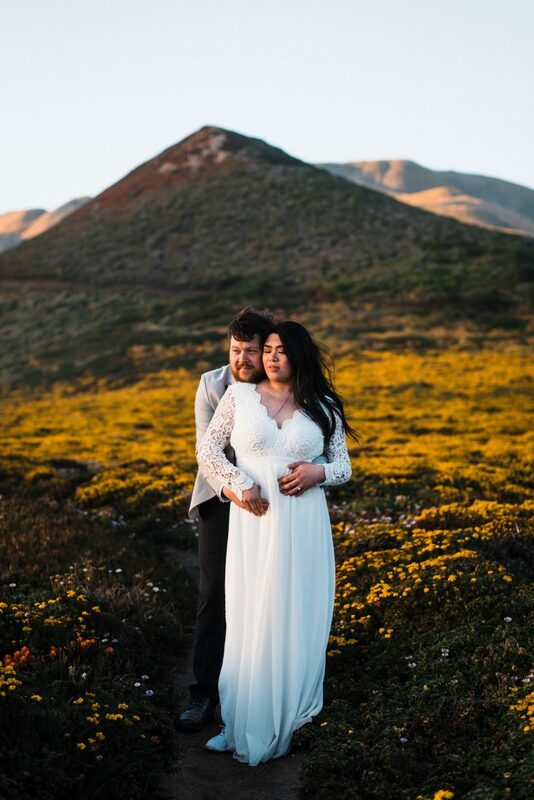 You can go up in the Succulent-covered hills for sweeping views of the coastline, or hike down to the beach to dip your feet into the Pacific Ocean. 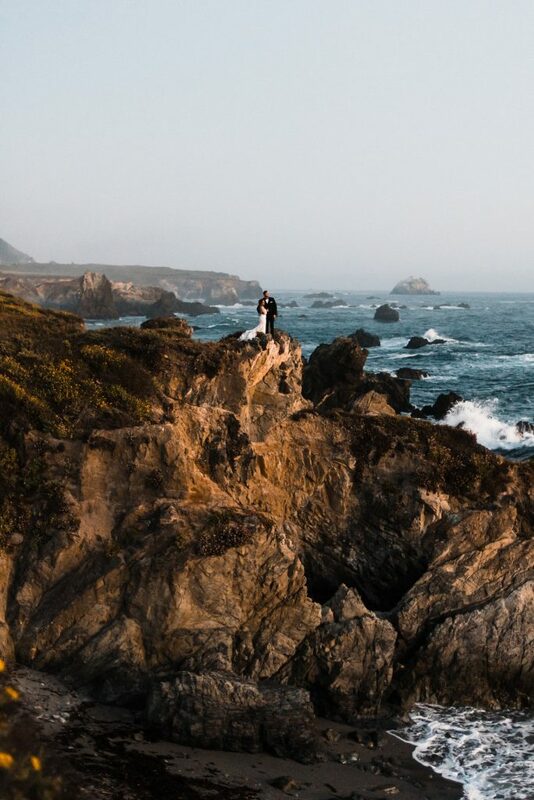 No matter where you are in Big Sur, you can always hear the romantic sound of the waves crashing against the cliffs. 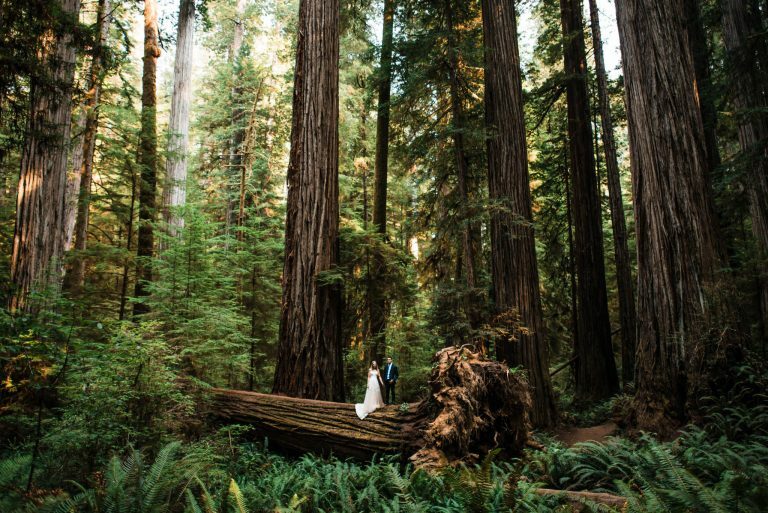 If you head inland a bit, you’ll find old growth forests and giant redwood groves. 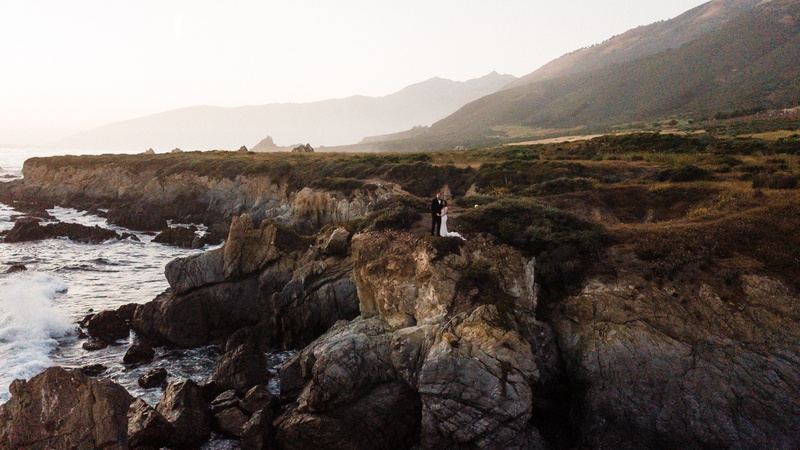 As far as coastlines and redwoods go, Big Sur is certainly one of the best places to elope in California. Driving time from San Francisco: 3 hours to get to the small town of Big Sur. But the coastline keeps going, with some of the best spots located another 1-2 hours south. 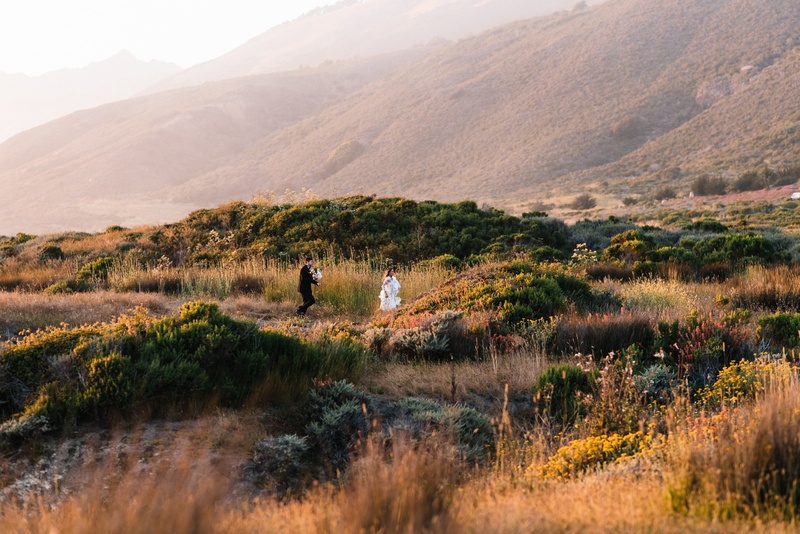 Important Info: Big Sur is explored by a single winding road (Highway 1) that hugs the contours of the coastline. 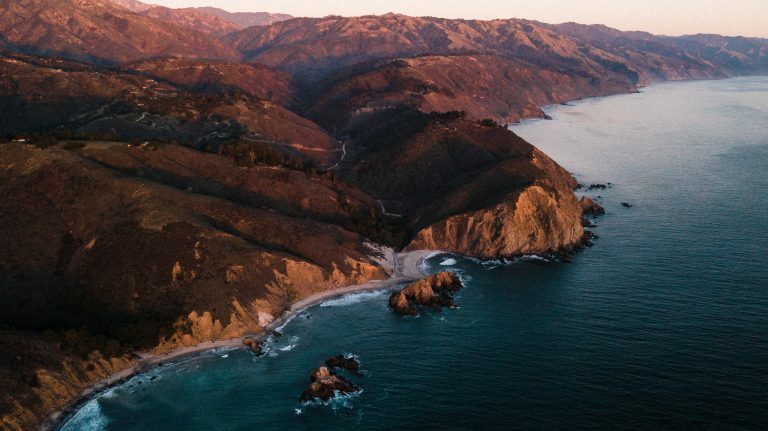 Currently, it is closed at the far south end of the Big Sur area due to a landslide and it doesn’t look like it’s going to open anytime soon. 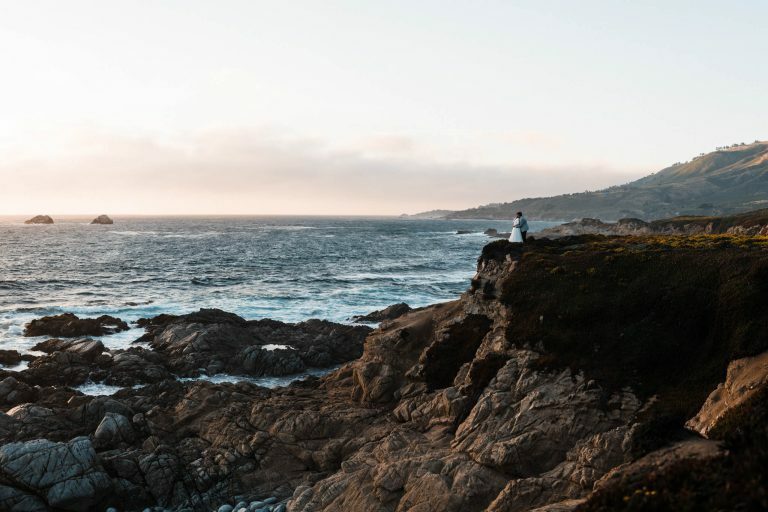 So you cannot access Big Sur from the south – only the north via Carmel/Monterey. Best place to look for lodging: Carmel and Monterey are the two closest cities to find accommodations and are about 45 minutes to an hour outside of the park. 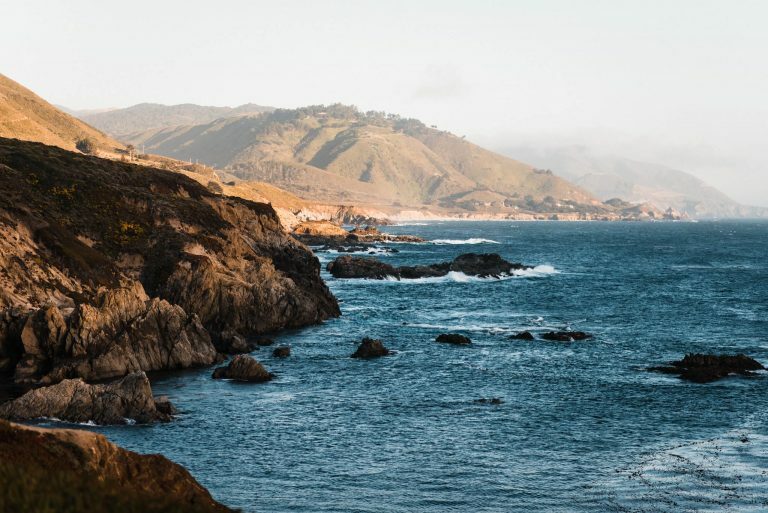 If you want to be closer to Big Sur there are campgrounds, cabins, lodges, and even yurts and some cool glamping tents up and down the coast. 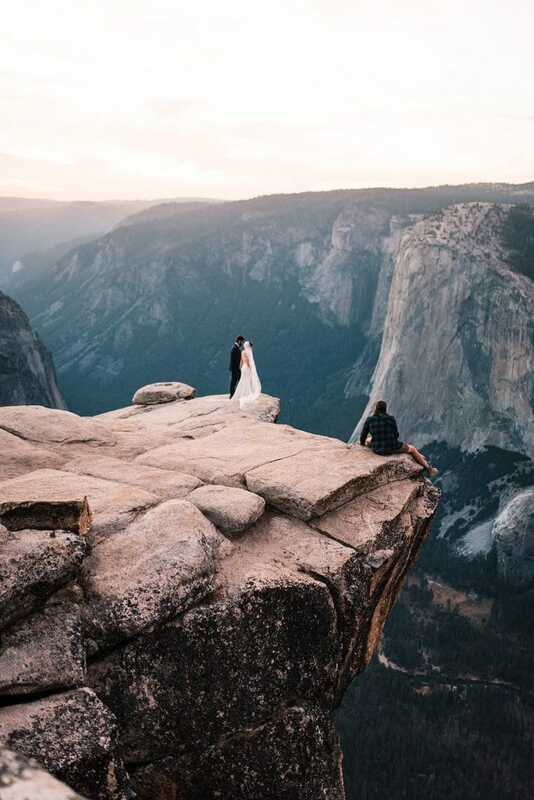 If you’re planning to elope in peak tourist season, make your reservations well in advanced! 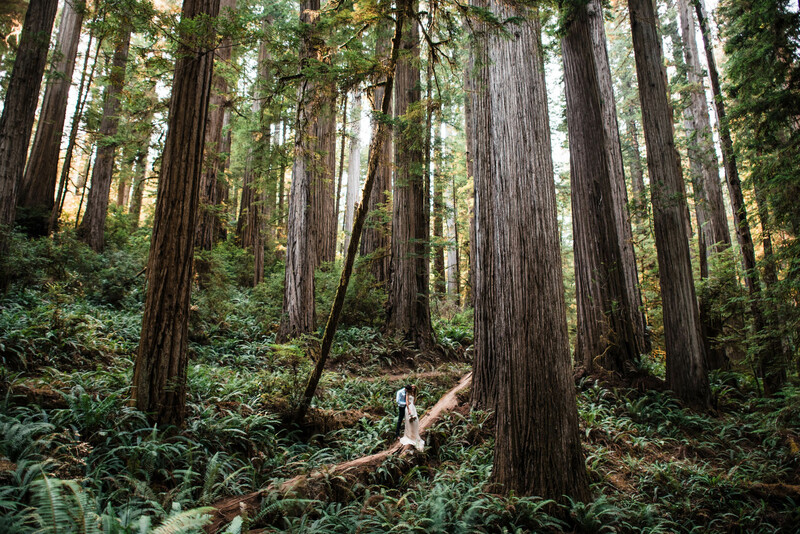 These two Redwoods parks are some of the best places to explore giant redwood groves. Redwoods National and State Park is located in the most northwestern corner of California, while Sequoia National Forest is located farther south in the central part of the state. Redwoods National and State Park is a short drive to a handful of beautiful beaches and Sequoia National Park is surrounded by mountains, so they’re both great options if you’re looking for variety of scenery in your day. 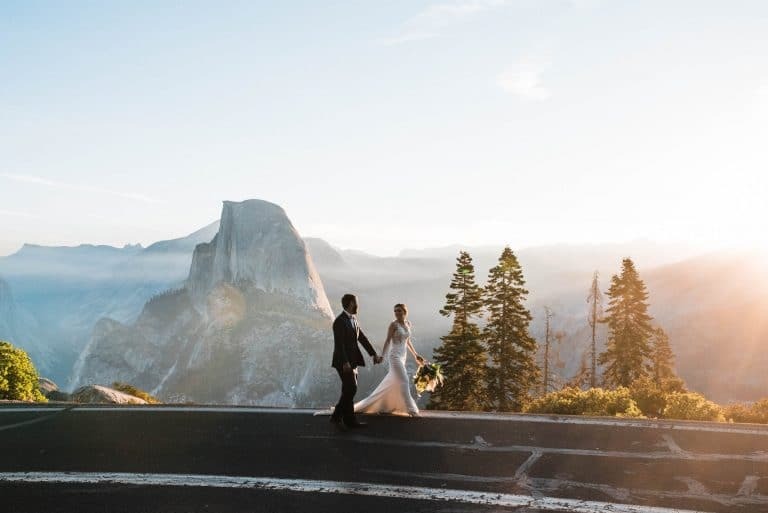 If you want to be surrounded by some of this country’s tallest giants for your elopement, these places can’t be beat! 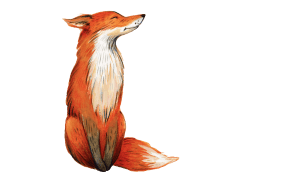 Best place to look for lodging: The closet town to Redwoods SNP is Crescent City and the closet town to Sequoia NP is Three Rivers. If you’re looking for a cabin or lodge, Airbnb will be your best bet. There are campgrounds at both parks, but make sure to reserve your site well in advance as they book up quickly. 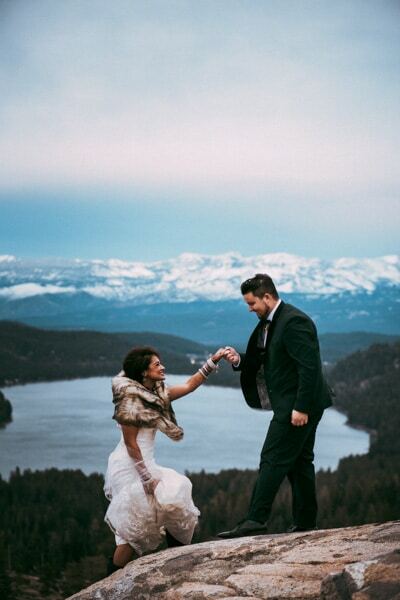 Lake Tahoe is known as one of California’s favorite spots for all kinds of outdoor recreational fun. 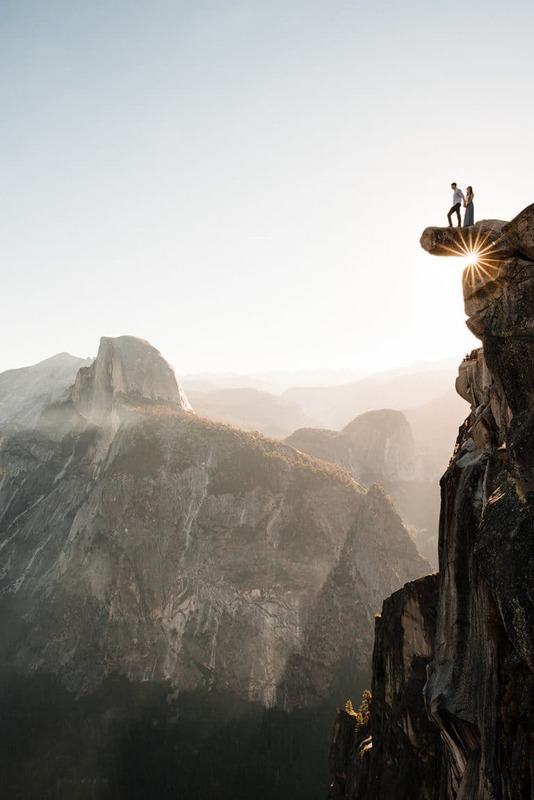 From hiking, kayaking, and rafting in the summer to all the snow sports you can think of in the winter, it’s one of the most well-rounded areas for adventure. 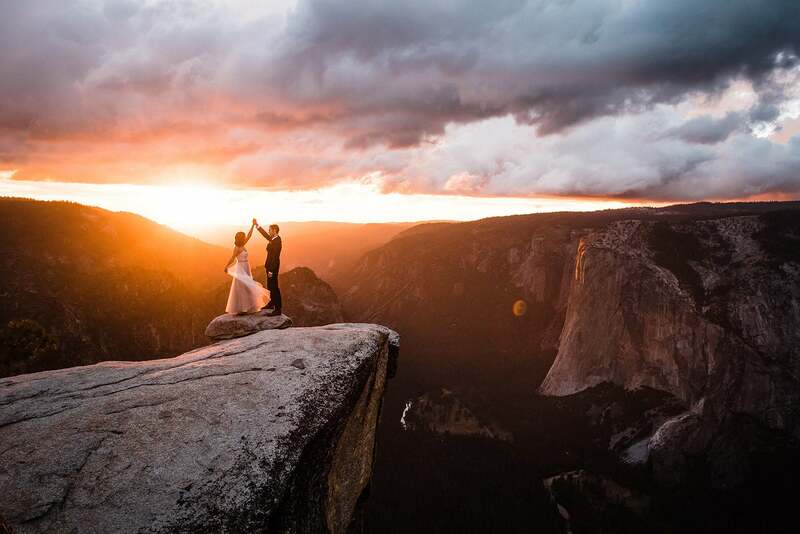 It also happens to be incredibly beautiful, making it a perfect place to elope. South Lake Tahoe tends to be more touristy and built up while North Lake Tahoe has a cozier mountain town vibe. North Lake Tahoe is higher in elevation keeping it a bit cooler in the middle of summer and offers a lot of sweeping mountaintop views. Best place to look for lodging: Depending on which side of the lake you’re on, there are a bunch of different places to stay. Nevada City, CA and Truckee, CA are cute little mountain towns and our favorites for the north side. 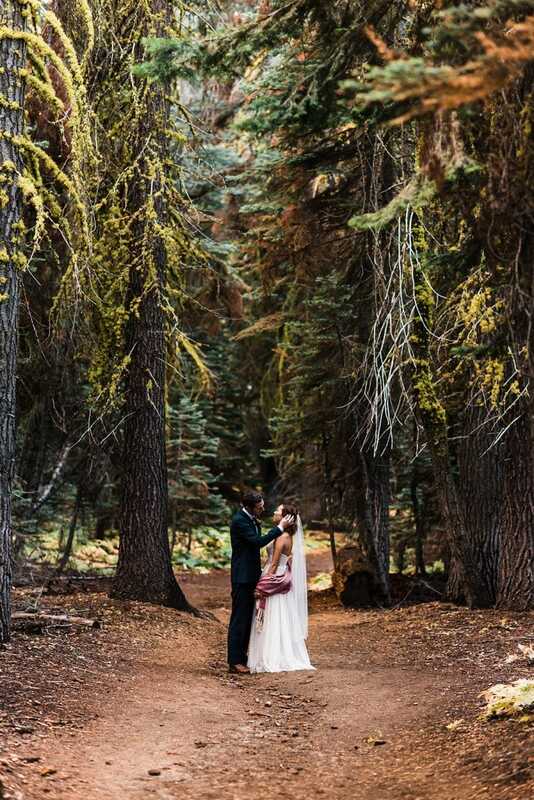 Truckee is closer to a lot of the epic elopement locations while the downtown of Nevada City has a little more going on, only a little though. South Lake Tahoe is a good place for the south. Check out the town Meyers if you want something a bit more remote. 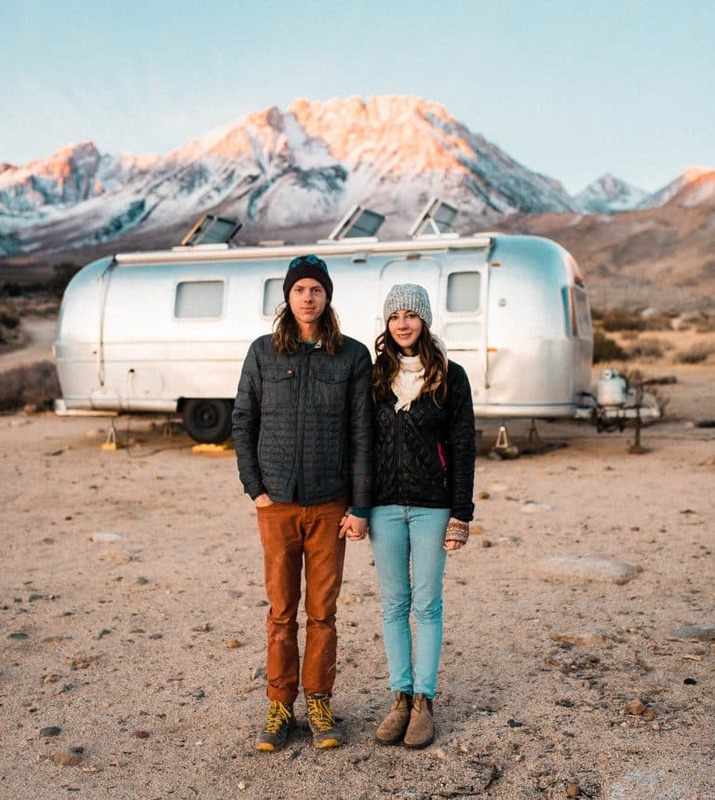 The Sierra Nevada Mountain Range is California’s spot for classic snow capped mountain peaks. The valley that’s nestled on the eastern side of these mountains is known for a more desert-dry climate. The flat desert landscape rides right up to where the mountains start jutting up from the earth making you feel like you’re in the mountains when really, you’re just next to them. 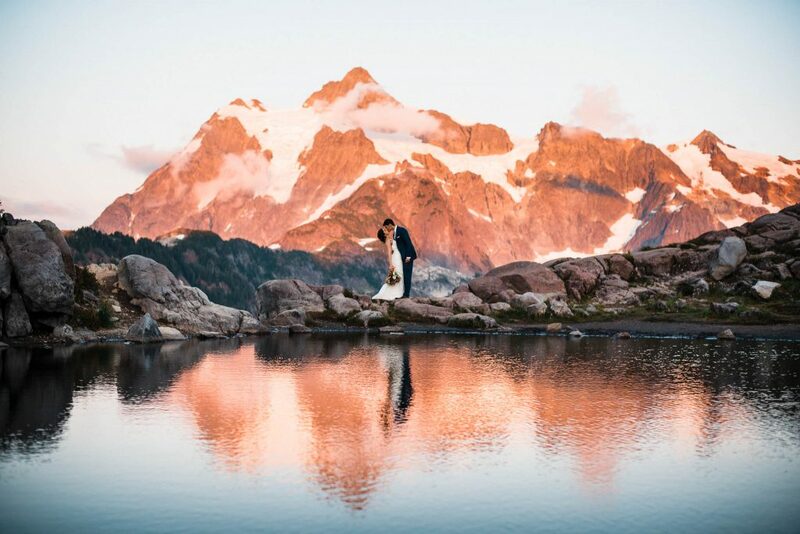 If you head west into the mountains and gain elevation, the landscape changes to slightly more lush and is sprinkled with plenty of mountain hikes and alpine lakes. 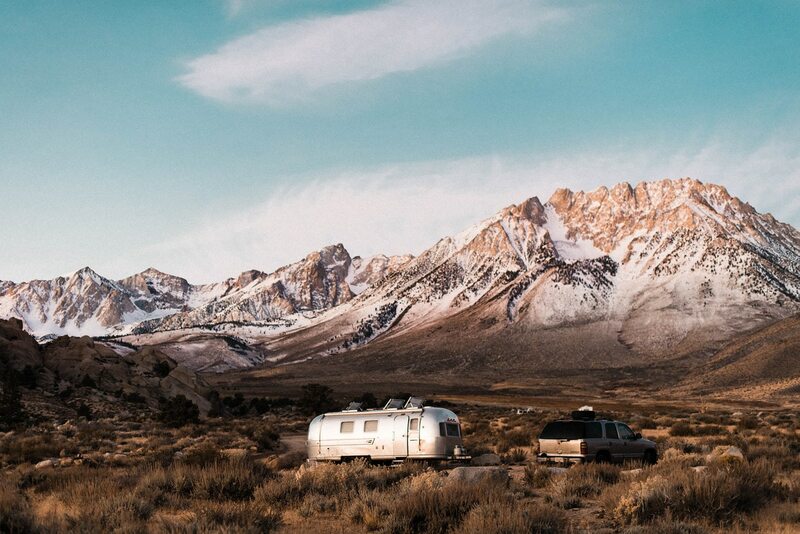 And as you continue north on the eastern side of the Sierras, you come to Mammoth. 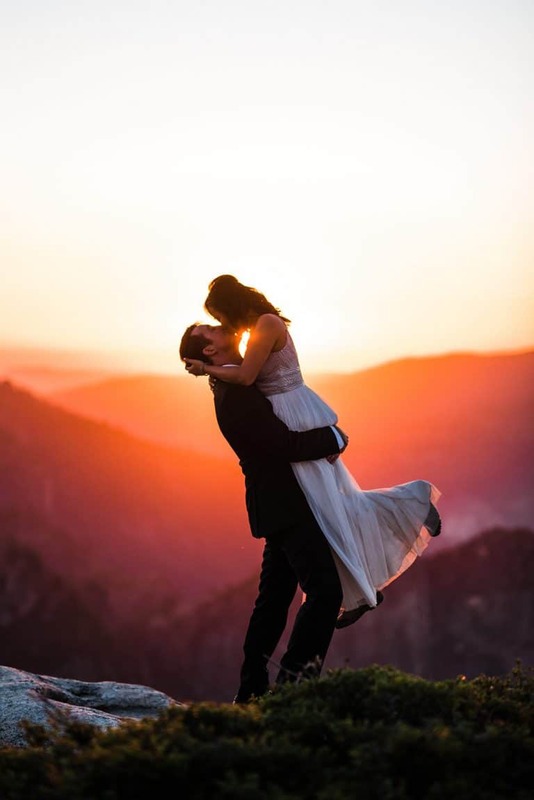 Mammoth is known as a world class destination for snow sports and is an incredibly beautiful place to elope. PRO TIP: There are hot springs all along the eastern side of the Sierras so make sure to hit them up for a nice soak while you’re there! Best place to look for lodging: Lone Pine and Bishop are two of our favorite small towns on the eastern side of the sierras. Both have lodging options and a cute downtown with a handful of coffee shops, restaurants, and outdoor gear shops. Mammoth is a slightly larger mountain town on the northern part of the eastern sierras. Camping and Airbnb.com. Joshua Tree National Park is not a desolate desert whatsoever. It’s very much alive with all kinds of cacti, desert flowers, Joshua trees, desert animals, and towering grainy granite boulders and make you wonder how the heck they got there. It’s a pretty cool feeling wandering through a desert and seeing so much life, but that’s what makes Joshua Tree so unique. 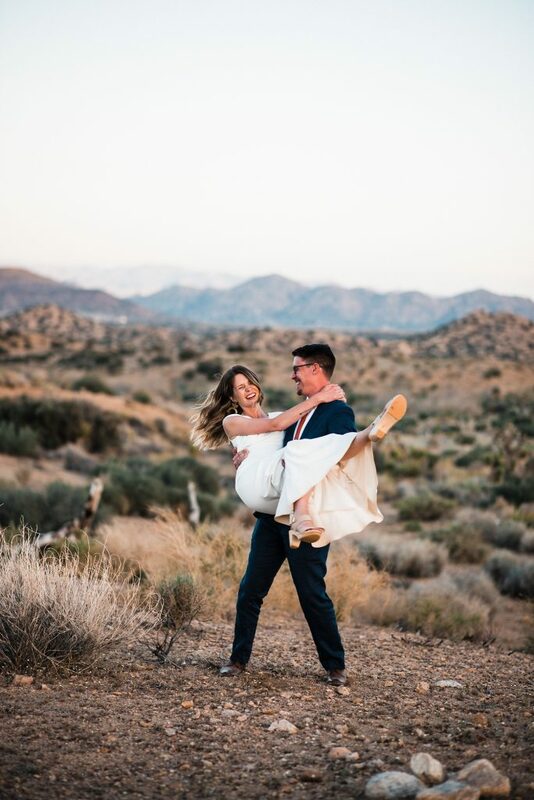 And whether or not you choose to elope here, make sure you add watching the sunrise in Joshua Tree to your bucket list. There’s nothing more peaceful than watching the sky turn different shades of blue, orange, and pink while listening to the quiet desert begin wake up. 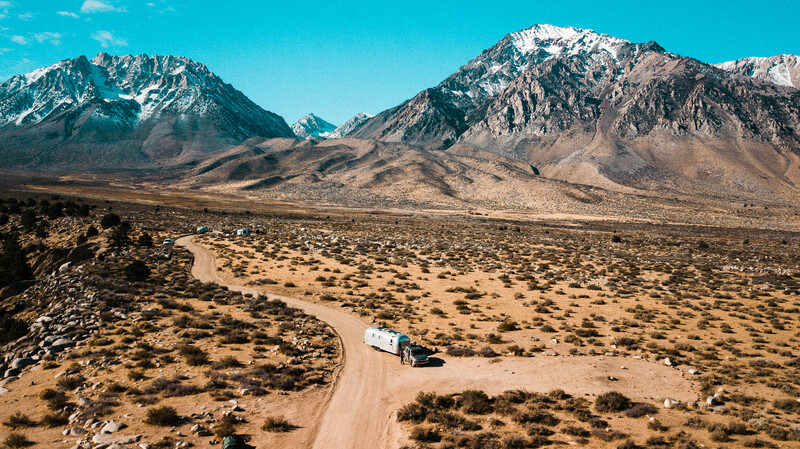 Best place to look for lodging: Campgrounds book up right away so make sure to reserve your site 5 months in advance when reservations open. 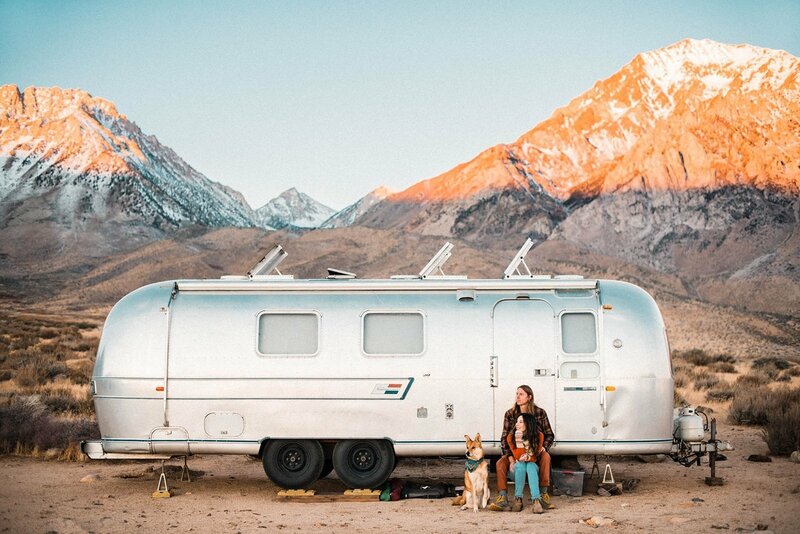 Otherwise there are very cool Airstreams, yurts, and glamping tents all around the park. Pioneertown is a small town just north of the park and is a good option for lodging and restaurants. Airbnb.com is your best bet!